Perdix Publishing Ltd is a contract publishing company specialising in the countryside marketplace. Based in the Suffolk countryside, Perdix Publishing offers a solution to clients seeking a publishing partner for all forms of print and electronic based periodicals and newsletters. We have experience with publications ranging from 70,000 circulation membership magazines down to simple newsletters and handbooks. Call or email Graham Downing or Julia Woolley to talk further about your own requirements. 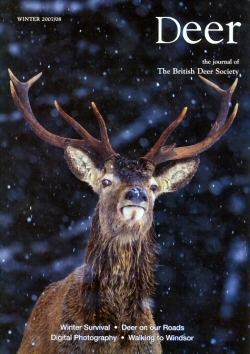 Perdix Publishing is the publisher of 'Deer', the Journal of the British Deer Society. Please click here for details.